For the true romantics who love the idea of celebrating hug day, promise day, teddy day, kiss day etc. 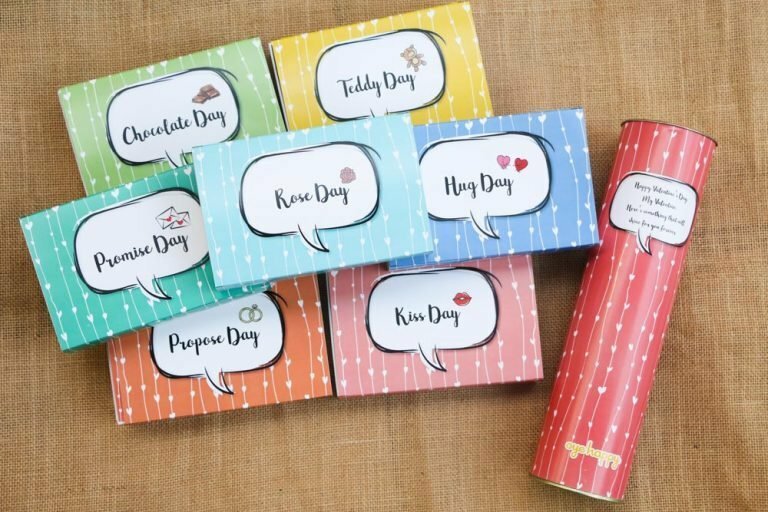 as much as Valentine’s day – here’s the perfect gift hamper with 8 gifts – one for each day of love. 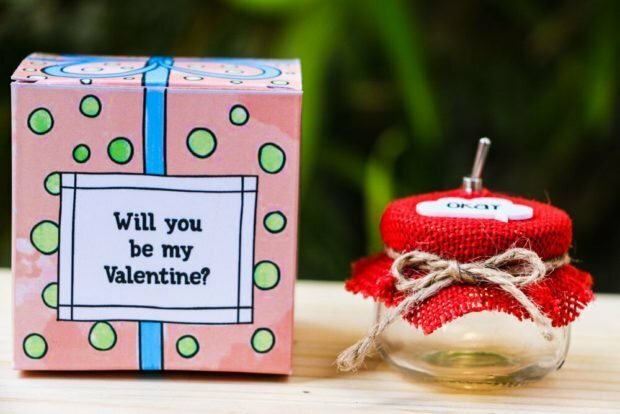 One of the cutest ways of asking someone to be your Valentine – instead of getting them to say ‘yes’, get them to do it with the flick of a button. 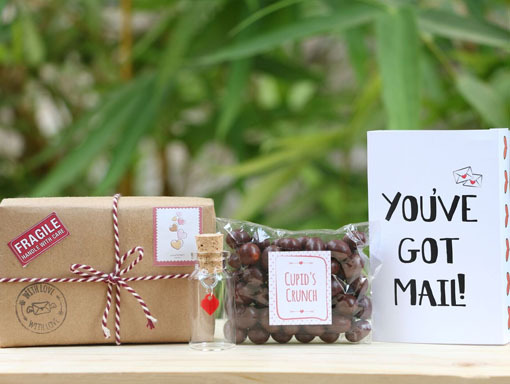 Delight your loved one by sending a cute mailbox comprising postcards, chocolates and a tiny heart. 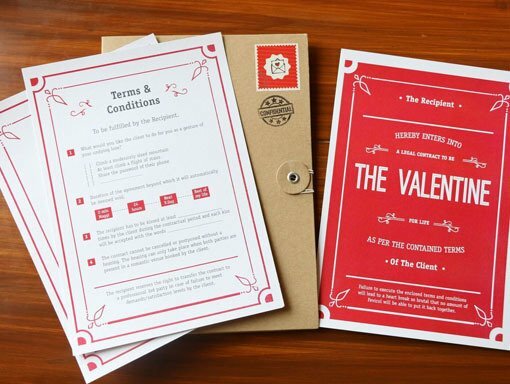 Hold him/her legally responsible for being your Valentine for a lifetime with this hilariously cute contract. 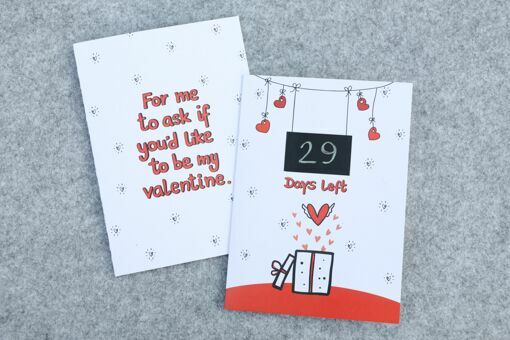 If your Valentine is impatiently and eagerly waiting for Valentine’s day, here’s the perfect gift – an interactive card with which they can keep a count of days left to Vday. 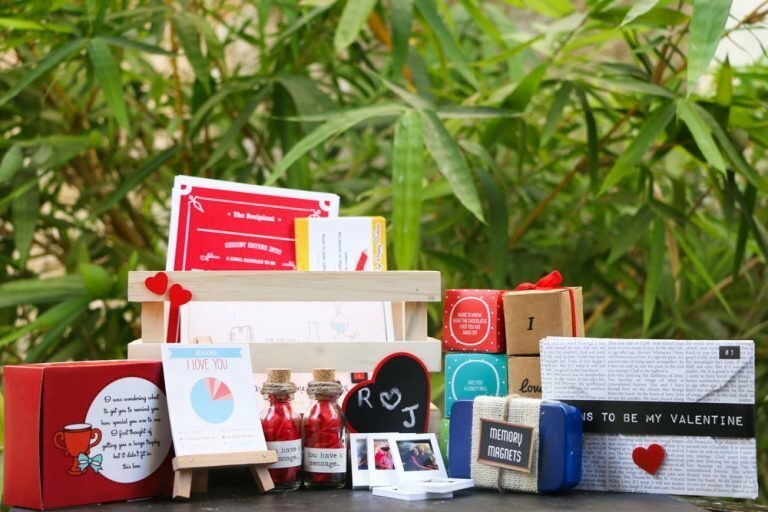 Surprise your better half with an extremely cute wooden crate hamper with goodies that will make them giggle and go ‘Aww’ for an entire day. 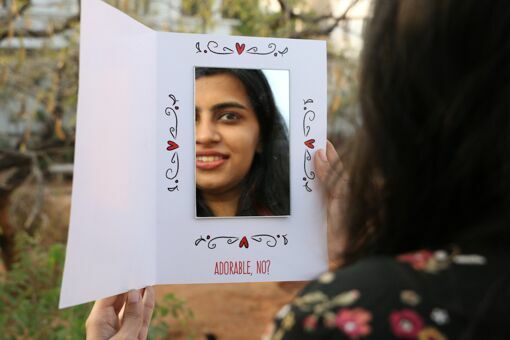 Gift your Valentine a cute card which opens up to reflect their face to remind them of how cute you find them to be. 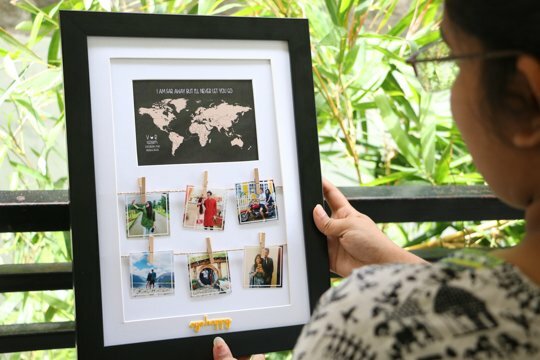 Gift your better half a carousel of memories this Vday with these fridge magnets customized with your cutest photos together. Regular greetings cards are booring! 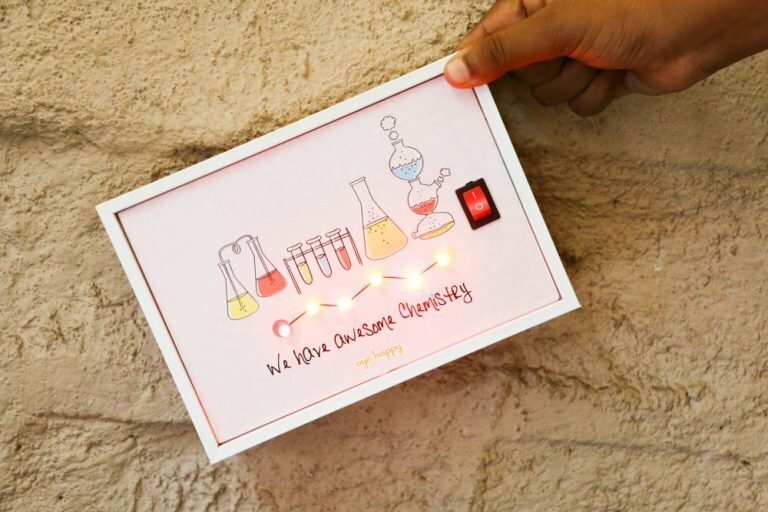 Remind your Valentine of the awesome chemistry you share with a card that lights up with the flick of a button. 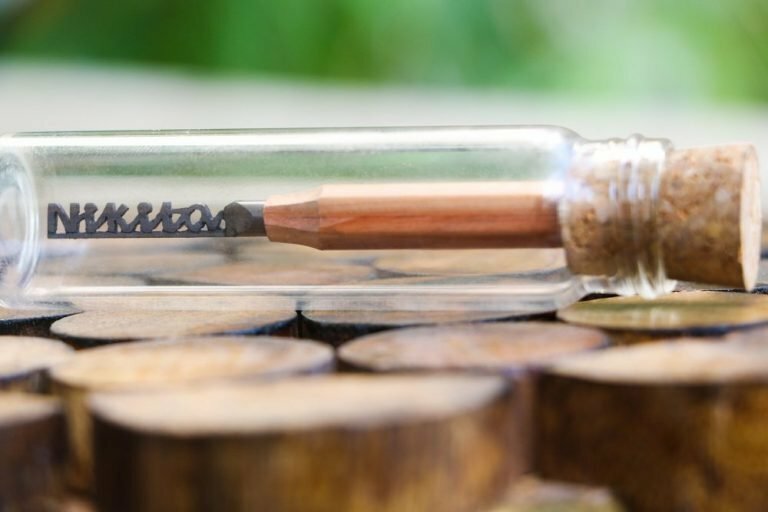 Make your Vday gift one that your special one will cherish forever in the form of this handcrafted gift with their name carved on the pencil by a professional artist. Remind your loved one that he/she is worth every mile between the two of you with this adorably cute Vday gift. 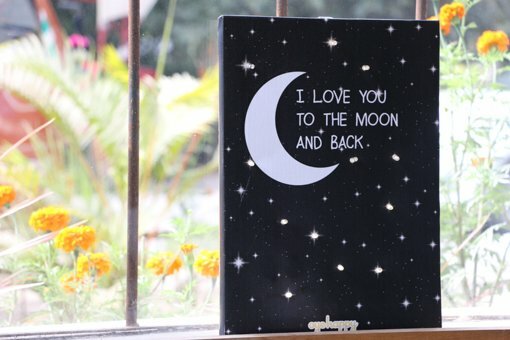 Love your special one to the moon and back? 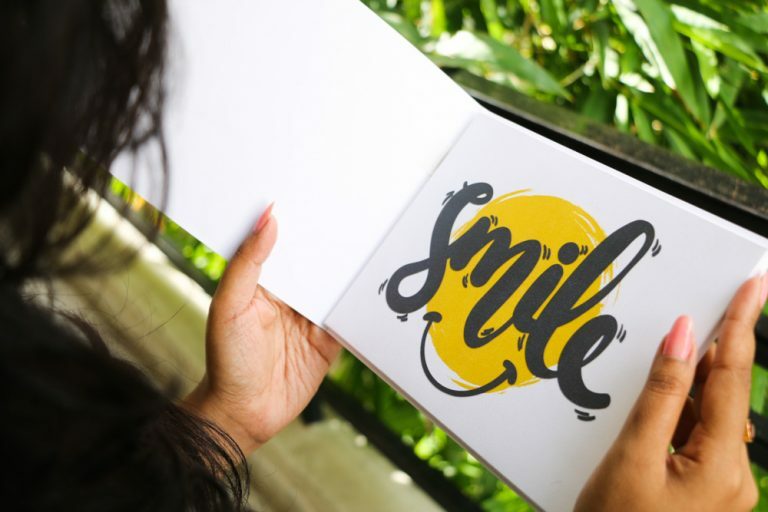 Express it with this unique and cute canvas that lights up at the flick of a button. Messages in bottles have a long tradition of being the best delivery service for love. 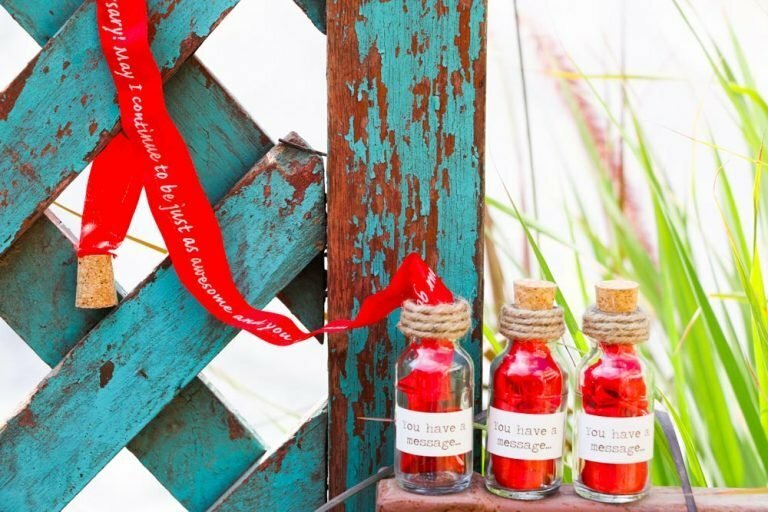 Surprise your loved with this cute Vday gift comprising of 3 bottles with messages. 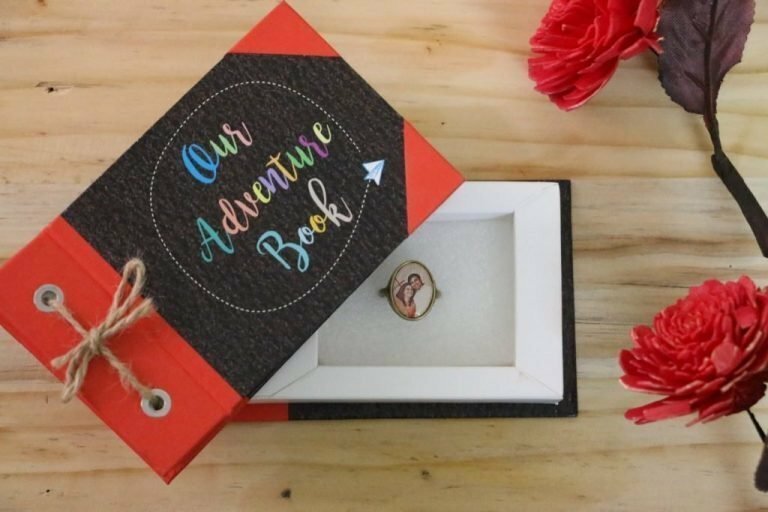 Gift an extraordinary book of adventures with your fairytale like love story scripted with a hidden surprise. Does your better half keep making gestures that make you fall more in love with them? 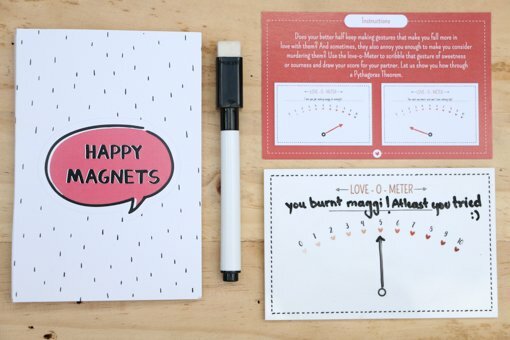 Use this love-o-meter to scribble the gesture of sweetness or sourness and draw the scores for your partner. 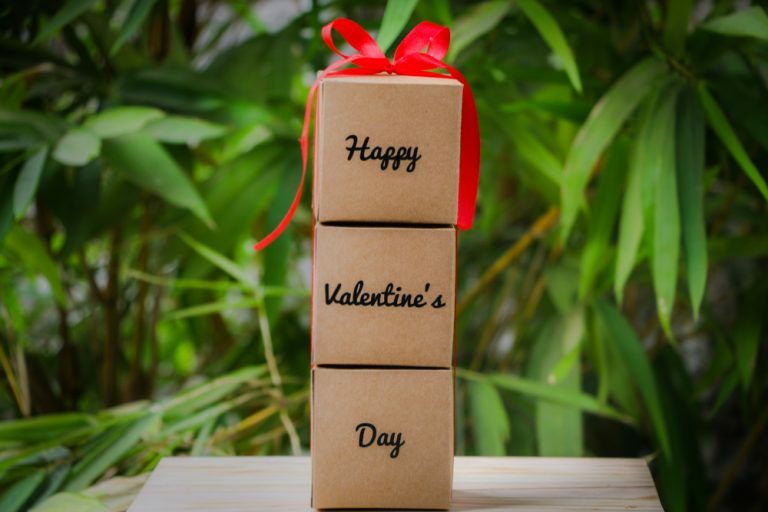 Make this Vday gift a little extra cute by adding a voice message to a greeting card and sending it to your loved one living faar away. 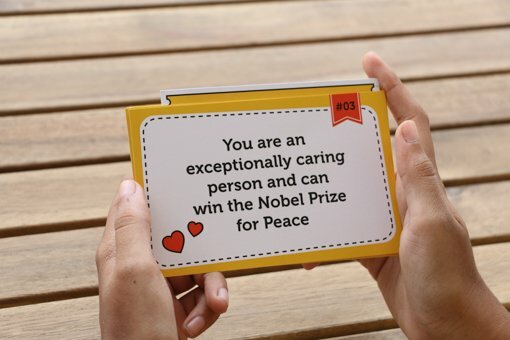 Every time they open the card, the message will play. 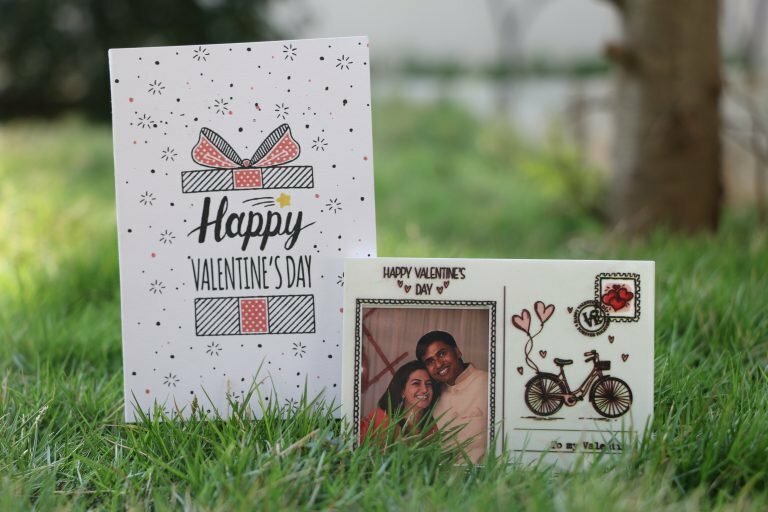 Express how much you love your special one with these cute placards to make them blush and giggle on Vday. Pick up lines are old school. 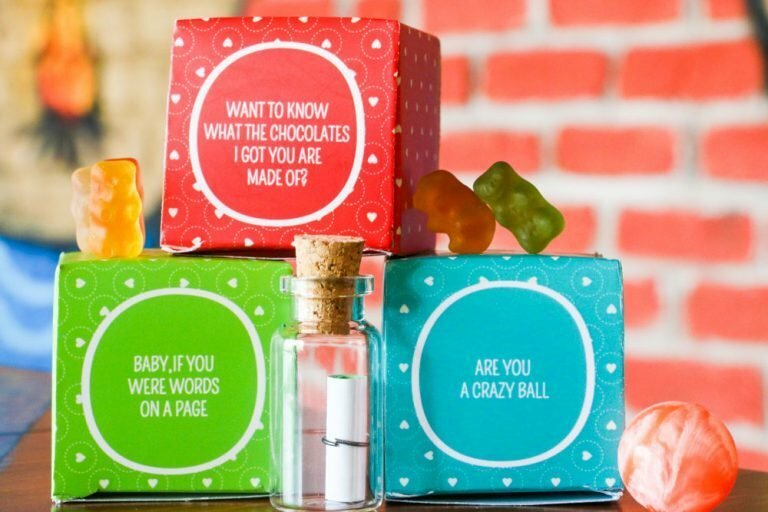 Take your madness a step beyond with these boxes of witty messages that will make your bae roll their eyes. 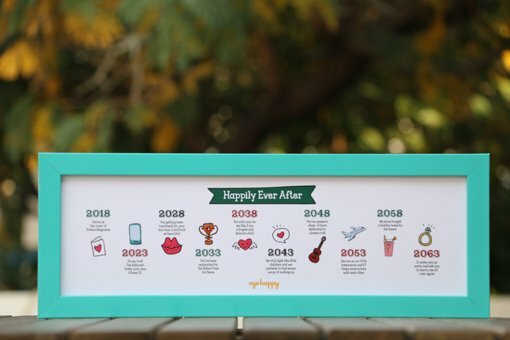 When you know you’ve met the one you want to spend the rest of your life with, surprise him/her this Vday with this cute frame that gives a sneak peak into your beautiful future. More cute…cuter…cutest Vday gifts in store. Check them here.